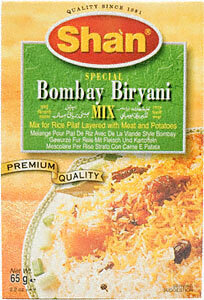 Chicken or Lamb Biryani Rice ဒံေပါက္ Shin Min (Smoke And Spice) give you an easiest and quickest way to make Chicken or Lamb Biryani Rice from the ready made packet. Danbauk or Pillau Rice Simplified to Burmese Taste ဒံေပါက္ This and the recipe following are of Indian and Muslim origin, using ghee (clarified butter) instead of oil. People from Old India have resided in Burma so long that decades ago such dishes were adapted and commonly used by the Burmese. Fried Vermicelli ၾကာဇံေၾကာ္ This is a one of the serious recipe and author explain in details. I really recommanded to anybody who want to learn Burmese cooking. This Fried Vermicelli is suitable for party and weekend food. It can go with a soup or even chinese tea to accompany, which will save time to wash too many plates at the end. Garlic Fragrant Noodle with Shredded Duck ဘဲေပါင္း ဆီခ်က္ ေခါက္ဆြဲ Ma Cho Wutyee will show you how to make this Garlic Fragrant Noodle with Shredded Duck. Mandalay Chicken Rice Noodle Salad မႏၲေလးနန္းၾကီးသုတ္(ခ) ၾကာဇံၾကီးသုတ္ Ma Ei Thet will show you how to make this Mandalay Chicken Rice Noodle Salad. This recipe looks so delicious. I was born in Mandalay and my late mother is very popular with her authentic Mandalay dishes. I must say the roasted gram flour is very very important in this dish and strongly recommand to use that fine quality roasted gram flour from Mandalay. Now a day, you can buy that flour at most super market in Yangon, and I always make sure that they are in stock at my kitchen. I am not sure and never seen using Bean Sprouts in this Mandalay Chicken Rice Noodle Salad. 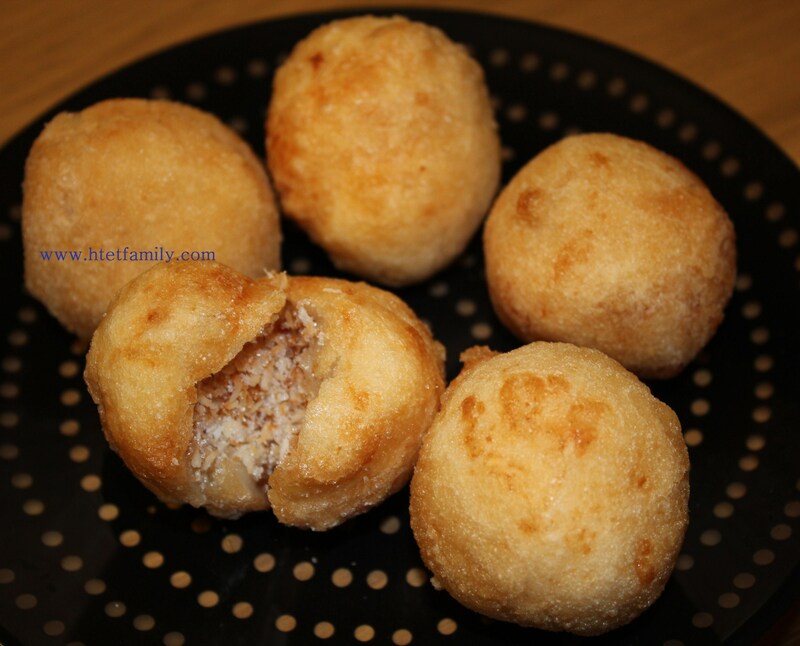 Mont Lone Gyi Kyaw မုန္႔လုံးၾကီးေၾကာ္ Unbelievably easy fried Glutinous Rice Dumpling with Grated Coconut. Ma Ei Thet explain how to make that Dumpling (Mont Lone Gyi) with step by step instructions. 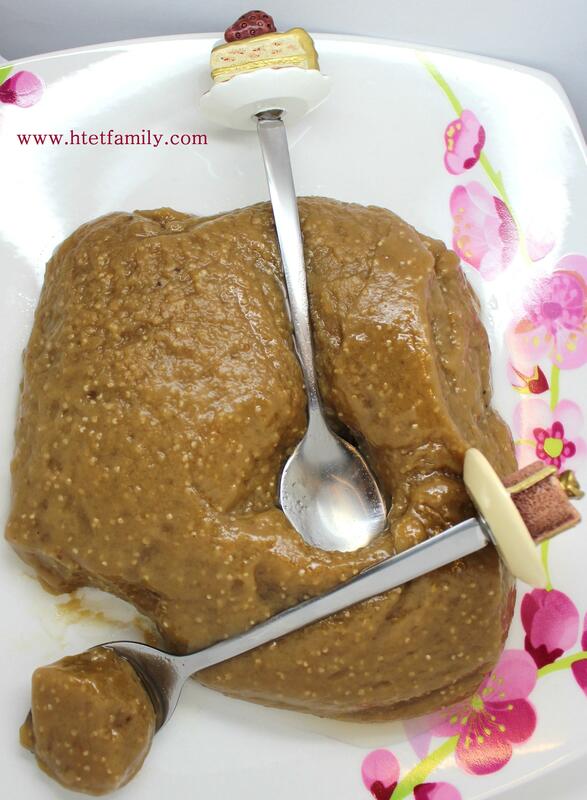 Pathain Halawa ပုသိမ္ဟာလဝါ Ma Ei Thet explain how to make an authentic Pathain Halawa with step by step instructions and photos. Shan Noodle ရွမ္းေခါက္ဆြဲ Ma Ei Thet explain how to make Shan Noodle with step by step instructions and photos. Steamed Glutinous Rice with Banana and Coconut Milk wrapped in banana leaves အုန္းနူိ. ေကာက္ညင္းထုပ္ Chaw Su will show you how to make Steamed Glutinous Rice with Banana and Coconut Milk in banana leaves.